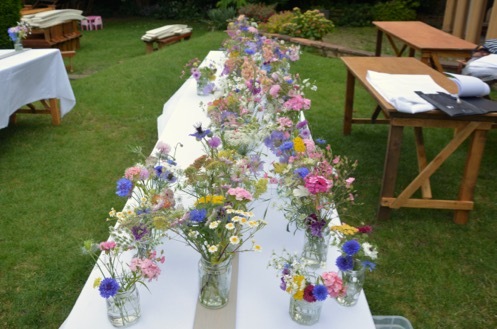 For those who would like to indulge in a ‘do it yourself’ wedding with our gorgeous sustainable flowers for their memorable day. 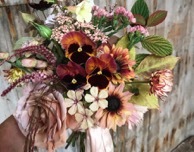 You will spend a day at the walled garden and we will show you, and another chosen budding wedding flower arranger, how to make (1) a hand-tied bouquet, (2) buttonholes and (3) a variety of reception table displays. 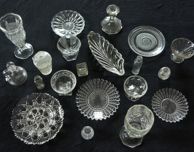 You will be able to take all your arrangements home with you. Contact us for further information and to book a place.